There are a lot of "if's" in the Game of Thrones season 7 theory that we're going to analyze today. Nonetheless, the theory is very fascinating (and dark) and has some interesting elements to support it. 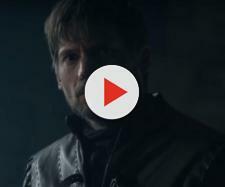 Recently we reported Alt Shift X's brilliant theory about Jaqen's presence in Westeros and its connection with the new King of the Iron Islands, Euron Greyjoy. According to the theory, Jaqen is the one who killed Balon Greyjoy in the books (check our previous article for further details). The Faceless Man is now at the Citadel, where he killed and stole the identity of a novice for unknown reasons. Keep in mind that the real Jaqen is not the man in the House of Black and White (that guy is just a faceless man who is wearing Jaqen's face. The real Jaqen - at least in the books - is still in Westeros). In A Dance with Dragons Tyrion Lannister mentions a tome "sometimes called Blood and Fire and sometimes The Death of Dragons, the only surviving copy of which was supposedly hidden away in a locked vault beneath the Citadel". Since Jaqen killed Pate the Novice to obtain a special key capable of opening any door in the Citadel, this might be a good hint on what he's looking for in Oldtown. Considering that his connection with Euron Greyjoy looks pretty solid, we may deduce that Jaqen is still working for Euron. Euron Greyjoy and Cersei Lannisters are going to move war against Daenerys. Even if Dany's army is probably large enough to obtain some crucial victories in Westeros, Jaqen's connection with Euron cast a shadow on Daenerys' future. According to Alt Shift X hypothesis, we cannot exclude that Jaqen is going to obtain a book in which some ancient secrets are kept, secrets that might hurt Daenerys somehow. Why is a Faceless Man after this kind of knowledge? Since the firsts Faceless Men were Valyrian slaves, we can deduce that Jaqen is helping Euron to help him kill the last Targaryen. Another, very simple explanation of his cooperation with Euron is money: Euron is one of the few people in Game of Thrones' world who can afford to pay a Faceless Man to do the most expensive jobs (according to some fans, he paid for the assassination of Balon with a dragon egg recovered during his travels). We can't be sure that Jaqen is at the Citadel to recover the book mentioned by Tyrion. On the other hand, we know that Euron almost certainly hired one of the Faceless Men to kill Balon in the books, therefore we can speculate that Jaqen or some other Faceless Men is now working to harm Daenerys' dragons or Daenerys herself.